Indawgyi Lake is one of the largest inland lakes in Southeast Asia. It is located in Mohnyin Township in the Kachin State of Myanmar. 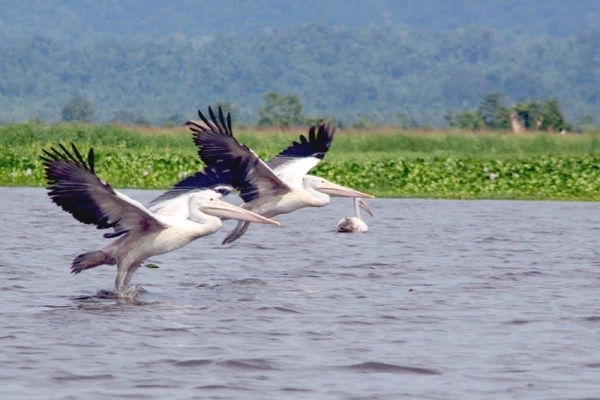 In recent years, most of the tourists who have made it to Indawgyi Lake have been avid bird watchers, and the lake has a strong reputation within that community. The lake is a major stop for migratory birds and attracts thousands of them from December to March. Even for those who aren’t enthusiasts, the sight of thousands of birds on the lake, and flying in flocks over it, is something to behold.